I have decided that my favorite sort of mailbox magic is book mail!! Two of my favorite hobbies are reading and letter writing. One of my personal missions is to encourage young people in these fabulous pursuits!! 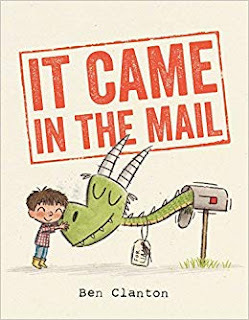 A wonderful book about a boy who really wants some mail! Reading is amazing and has a myriad of benefits for everyone! Did you know that just 6 minutes of book reading can reduce stress by 60%? It expands one's vocabulary, enhances the ability to focus, boosts memory, is associated with a lower risk of dementia in later life and improves communication skills. And that's just the beginning!! According to researchers Raymond Mar, Keith Oatley and Jordan B. Peterson, reading fiction literature helps us understand others who are different from ourselves and can increase our capacity for empathy and social inference. Reading to children is incredibly important. Reading aloud benefits the brain development of young listeners. Through fiction reading children gain insights into mature relationships, personal values and cultural identity. Experiencing the world through fiction helps children deal with social struggles and moral dilemmas in safe surroundings. 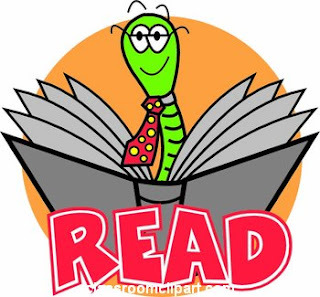 Reading aloud to young children improves concentration, self-discipline and enhances basic speech skills! Becoming a reader is an amazing thing and should be encouraged for everyone!! Yay! Books! Now that the MurphyBros are all grown up, I enjoy passing on some of our favorite novels to my young pen pals. 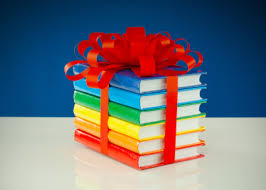 I include a letter, of course, that details my personal experiences with the book and asks questions of the recipient in hopes that he/she will write me back with a book review! I've got a few ideas brewing and will be posting about them soon! Join me in sharing the joy of books and letters with everyone! It's magic!